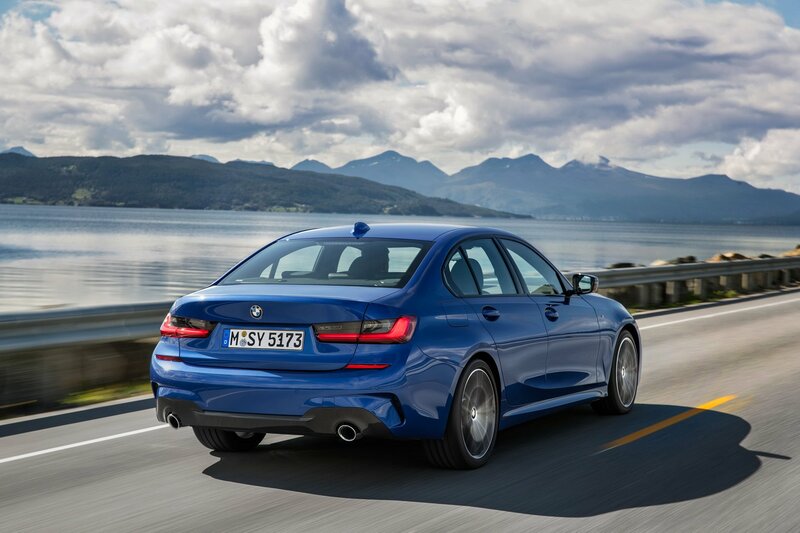 Rumors about the death of the manual gearbox haven’t been exaggerated – at least not as far as the U.S.-spec 2019 BMW 3-Series is concerned. 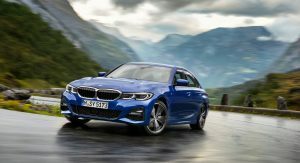 The German marque took the covers off new 3-Series at the Paris Auto Show and revealed that European markets would get the option of a stick shift with some of the vehicle’s four-cylinder engines. 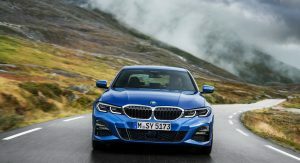 In the United States, though, according to Autoblog, the new 3-Series will initially be sold in 330i and 330i xDrive guise (rear- and all-wheel drive respectively). The 330i is powered by a TwinPower Turbo 2.0-liter four-cylinder that delivers a total of 255 hp and 295 lb-ft (400 Nm) of torque and is paired exclusively to an eight-speed automatic transmission in all markets. 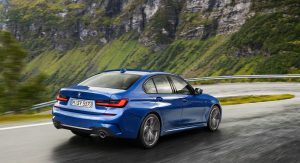 In 2019, the sporty M340i and M340i xDrive M Performance models are tipped to launch in the U.S. 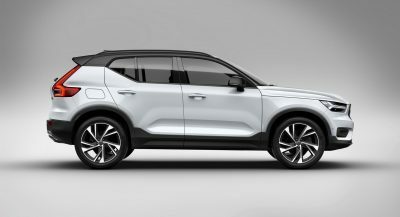 These two models will utilize a straight-six engine pumping out 382 hp and 369 lb-ft (500 Nm) of torque. Unfortunately, the M340i won’t be offered with a manual gearbox either. As details about the latest-generation M3 remain murky, it’s hard to say whether or not it will be sold with a manual. 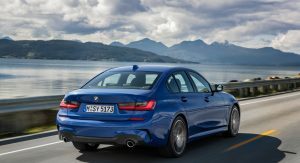 Unlike Mercedes-AMG with the C63, BMW’s M Division has so far been able to retain a manual gearbox for its most-popular sports sedan despite dwindling demand. 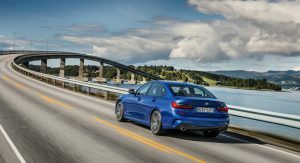 However, the fact that most customers prefer the dual-clutch transmission has led to speculation that the new M3 will be sold exclusively with an auto ‘box. 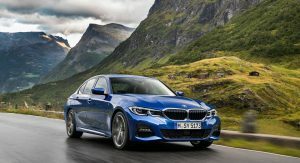 Even though purists might lament the demise of the manual, BMW claims that the eight-speed automatic in the new 3-Series provides improved acceleration and performance over a stick shift. Nothing original about the design either. I see a lot of Acura and its not good. and lexus rear! wtf bimmer! THE ULTIMATE DRIVING MACHINE INDEED. Every american complains. But it’s your fault, sorry to say that. You only buy automatics. 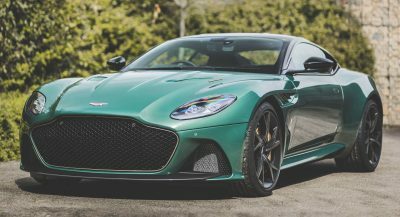 The only reason MT’s still barely exists is BECAUSE American’s demand it for performance cars. 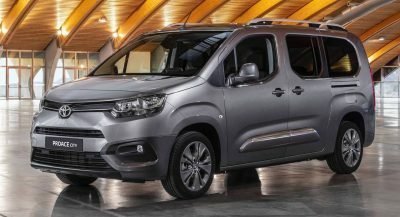 In Europe, a tincan Euro ecobox that comes with a rubbery MT isn’t because Europeans want it. That’s purely for cost cutting purposes. No. You only ask for manuals in cars like the BMW M5, but actually you buy mostly automatics. 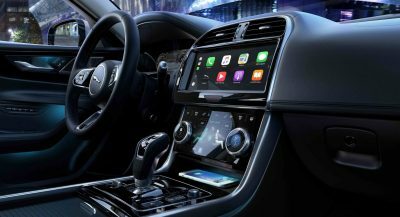 We, by the other hand, have 60 or 70% of the cars on the street with manual transmission. You take the drivers license only in manual cars, automatics only for disabled people. It’s a completely diferent car culture. Most americans don’t even know how to drive a stickshift, all europeans do.